As promised, a #SnowHawk walk-around with build specs. Today we rolled Project Real Hawk out of the garage for a quick photo shoot. Installed so far we have a BDS 4.5″ XJ Long arm, Truck-Lite LED headlights, Notch Customs Fender Flares, a JCR Vanguard front winch bumper, a Warn Zeon 8s winch, JCR classic rock sliders, our upper quarter panel guards (with taillights), and our XJ gas tank skid. 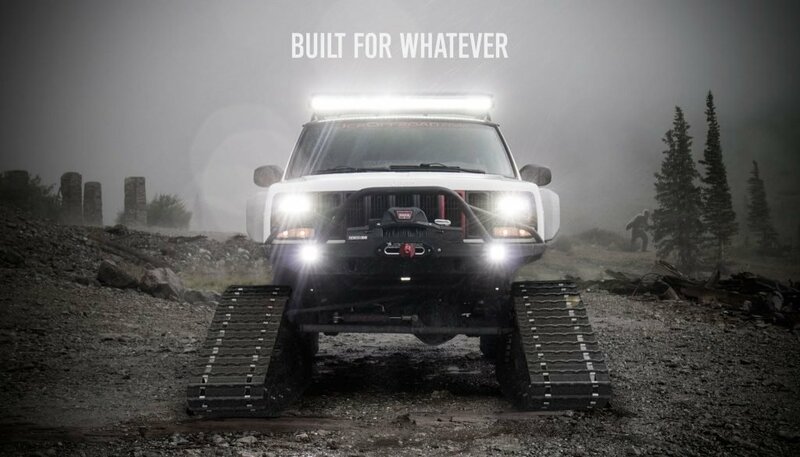 Prototype products include the upper basket add-on to our modular roof rack with an 50″ Inspired Engineering LED bar, and our redesigned rear bumper. Current tires are 305/70-17’s with ’13 JK Rubicon wheels. Final build plans are 35 x 12.5 x 17″ Toyo RT’s. 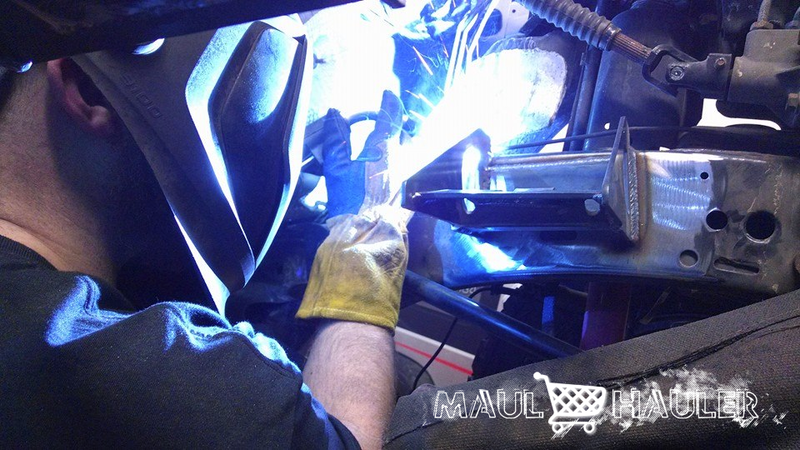 Lots of late nights ahead as we start Project Maul Hauler, our 4dr LS powered JK. Motor is an all aluminum 5.3 from a doner 2011 GMC. Swap kit is from Mo Tech, the leader in JK LS swaps. 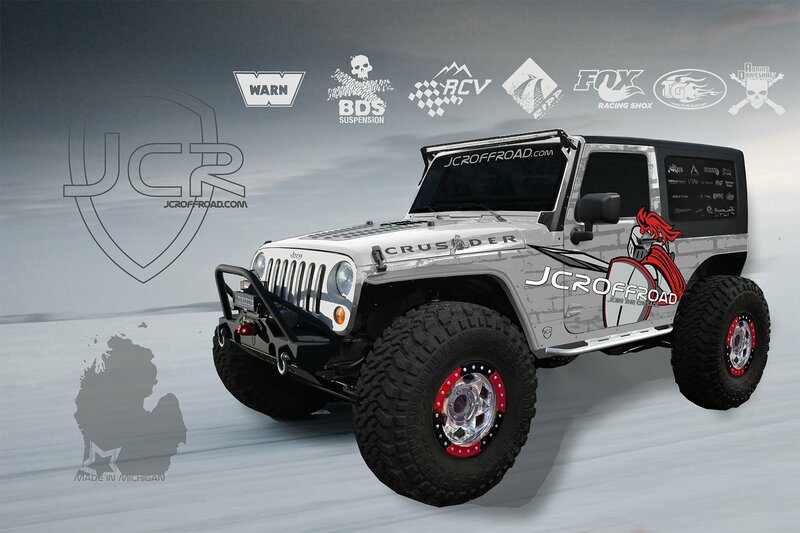 We are looking to make an awesome riding daily driver on 37″ Toyo tires with a long arm from BDS Suspension. But what bumpers? Mauler like the namesake, or Vanguard for full protection? Lets us know your vote in the comments below.